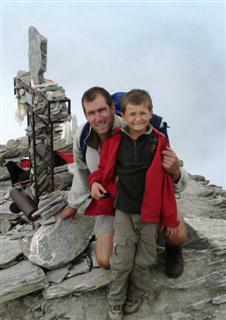 William Armstrong moved to France with his family in early 2003. He gave up his Town Planning job in the UK and since then, has spent much of his time exploring the hills and mountains of France. He lives in the Beaujolais with his French wife and two children, and is fluent in both English and French. He has extensive walking and mountaineering experience in the UK, Europe, America and Nepal and has led walking parties in the UK and France. With his father, in 2007, William launched High Point Holidays to share with others his passion and knowledge of France’s magical landscapes. 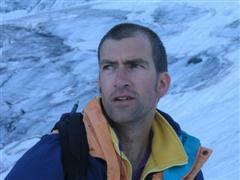 He has led many of our guided walking holidays in France. Always jovial, with plenty of stories to tell, William will be your perfect antidote to working in the office (or whatever work you are escaping from). His experience, qualifications and interests in various subjects, including Geography, Geology and the Environment, provide an added dimension to all our French holidays. The walking notes for self-guided walking holidays reflect his desire to share with the customers his knowledge in order to enhance their holiday. The choice of guest houses on many of the French walking holidays are also a factor in wishing the customers to have a more local experience.